Two members of the Taskforce team stayed in Newcastle after the main Taskforce meeting and visited a group of branch libraries. These illustrated the range of partnerships which have been created to make best use of the spaces and ensure local residents have access to the services that meet their needs. Our overarching conclusion was that it is impossible to generalise; each community has a slightly different solution once all the different factors are taken into account. 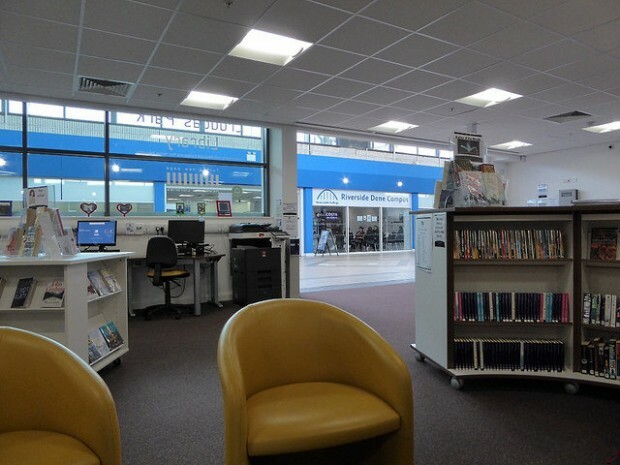 We went to Gosforth where the library had entered into a partnership with the adult learning centre when previous joint tenants moved out of the building. To make this work, walls and partitions were added to build nine classrooms and a community meeting room, still leaving plenty of space for library services. The library also uses these classrooms for their own programmes during half term. 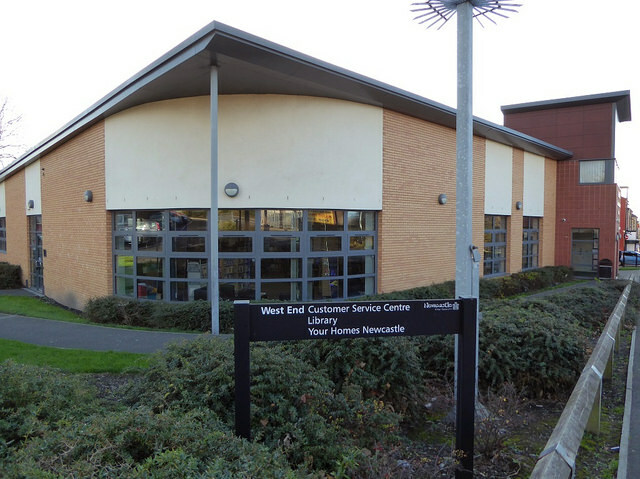 Next was West End library, a multi-use community hub shared by a council customer service point (which was packed when we visited), the library, and Your Homes Newcastle. We’ll publish a blog post from YHN sharing their experience of working in partnership shortly. And finally Cruddas Park, a library in one of the more deprived areas of Newcastle. It is in a shopping centre underneath a tower block, and has recently moved from a large area on one side of the entrance, to a slightly smaller space. Newcastle College have taken their old space and they provide building maintenance and security. This change has brought a new set of users in the form of students, but the majority of the local community are still heavy users of the computers and job clubs. We visited York to find out about York Explore, a mutual benefit society with charitable status who now run York libraries. Our first stop was the Rowntree Park Reading Cafe - one of 2 in the city. The reading cafe is in a former run down cafe overlooking a lovely park with a river running through it (flooded during our visit, so the park was closed, but the library was still accessible). It’s a sunny building, with a terrace and shelves of books interspersed amongst all the tables both outside and inside. There is a self service machine, children’s book area, and lots of colourful artwork on the walls. Rowntree Park Reading Cafe was the model for their other reading cafe in Sycamore House, a mental health centre. We didn’t visit, but heard how the cafe’s presence has started to help break down any stigma that existed between the local community and patients. Our second visit was to the central library, an imposing building right by the city walls. 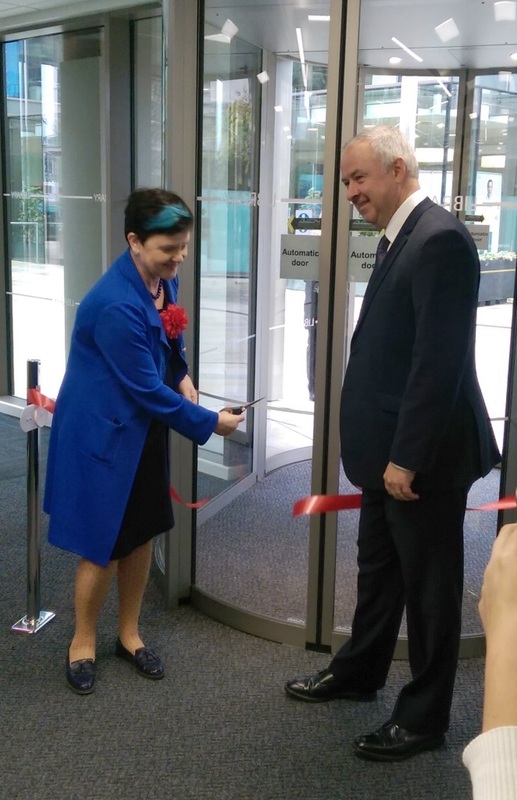 We toured their impressive new extension that houses the city archives. They received Heritage Lottery funding and have incorporated a new climate controlled space on top of one of the single storey wings. It should enable them to raise awareness of the rich documentary heritage of the city and get people involved in projects. 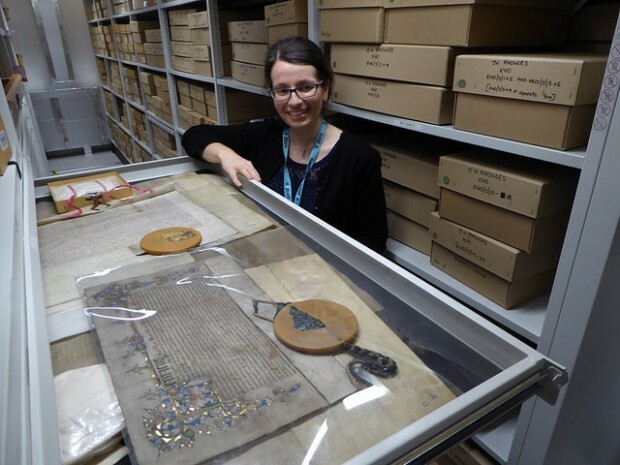 We met the chair of the York Explore board - the body set up to run York libraries and heard about their experience during their first year as a mutual. They will be writing a post for us shortly. Two members of the team accompanied Baroness Neville-Rolfe as she performed the official opening ceremony at the new library in Stafford on 20 November 2015. The new library opened to the public on 9 September and provides an open plan space on the ground level, located between the town’s High Street and a new retail and food development. The library offers traditional book borrowing alongside new technology. This improved technology enables them to offer new services such as access to digital archives and the photographic collections of great museums. The space is flexible and can accommodate learning, events and activities and is helping to attract new audiences. 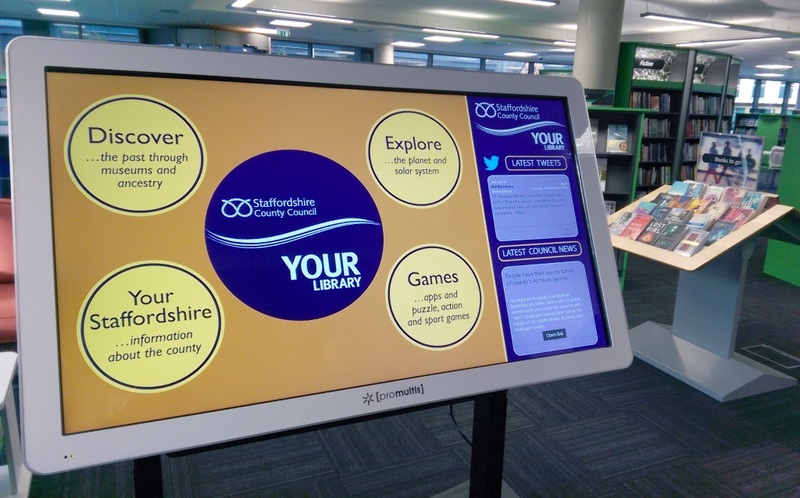 Since the library moved into its new location on 9 September, book borrowing has increased by 1.7% and new members have increased by 81.0% in comparison for the same period in 2014. Computer use has also increased by 10%. Activities where people can come together to socialise and make new friends such as reading groups, craft club, coffee and a chat. More photos from the visits described can be found in our flickr albums. Don’t forget to subscribe to our blogs to receive email of future posts.